THE PENTAGON – Navy leadership has issued more punishments to sailors involved in the two fatal collisions in the Western Pacific, senior service officials told USNI News on Thursday. 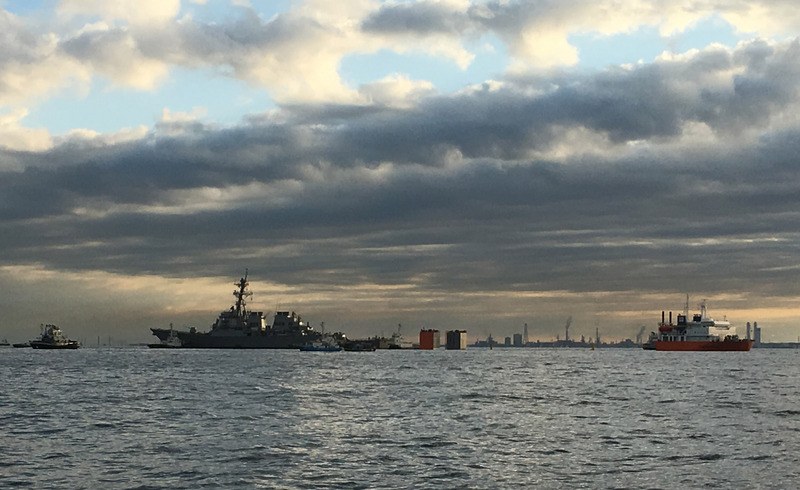 The service held six non-judicial punishment hearings in Yokosuka, Japan, on Jan. 25 related to the collisions of guided-missile destroyers USS Fitzgerald (DDG-62) and USS John S. McCain (DDG-56). The head of Naval Reactors Adm. James F. Caldwell oversaw the hearings. 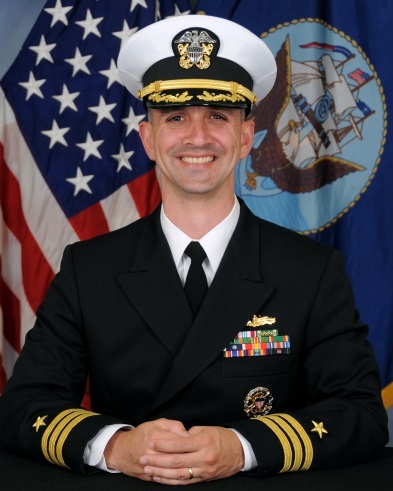 He was appointed in October as the Consolidated Disposition Authority tasked to oversee additional accountability actions following the two collisions in which 17 sailors were killed. Four sailors were issued non-judicial punishments as a result of the hearings in Japan. Caldwell found then-Fitzgerald executive officer Cmdr. Sean Babbitt and command master chief CMC Brice Baldwin guilty of dereliction of duty that resulted in the June 17, 2017, collision of the coast of Japan that killed seven sailors. Both were issued a punitive letter of reprimands. Babbitt and Baldwin were removed from their positions on the destroyer in mid-August along with Fitzgerald commander Cmdr. Bryce Benson. “In another case involving a [Fitzgerald] officer, Caldwell reconsidered a previous finding of guilt and set aside the action based on his review,” read a statement from the service provided to USNI News. Caldwell also oversaw three NJP hearings for one officer and two enlisted sailors aboard McCain on allegations related to the Aug. 21, 2017, collision of McCain and a merchant tanker off the coast of Singapore. “Caldwell dismissed the NJP charges against one officer and one enlisted [crew] member. The second enlisted member was found guilty of violating Article 92 (dereliction in the performance of duties) of the [Uniform Code of Military Justice],” read the statement from the service. In total, 17 sailors have been issued non-judicial punishment on charges related to the two collisions. 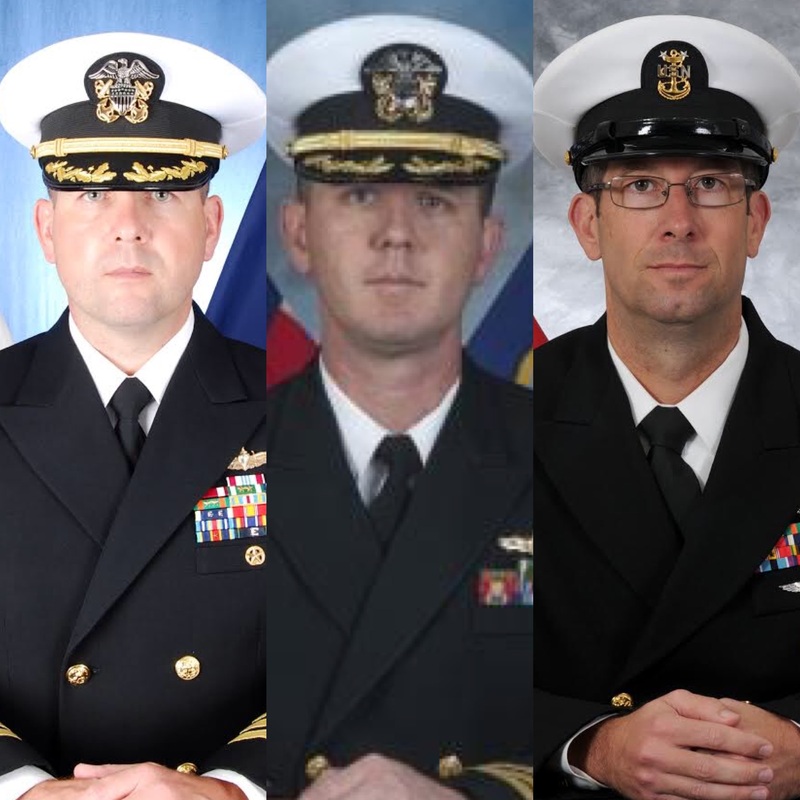 In addition to announcing the NJP hearings, the service gave the dates for the Article 32 preliminary hearings for negligent homicide, dereliction of duty and hazarding a ship charges for the former commander and three sailors on Fitzgerald and the former commander of McCain. Former McCain CO Cmdr. Alfredo J. Sanchez will appear before a military judge at the Washington Navy Yard on March 6. Former Fitzgerald CO Benson will appear on March 7, and three Fitzgerald officers will appear on March 8 in a joint hearing, according to the statement. Caldwell is expected to take additional accountability actions related to the collisions, according to the service. Previously announced accountability actions include removing Vice Adm. Tom Rowden from his position as the head of naval surface forces earlier than his planned Feb. 2 retirement date. Capt. Jeffery Bennett, commodore of the Japan-based Destroyer Squadron 15 to which both ships belonged; the Japan-based task force commander, Rear Adm. Charles Williams; and the commander of U.S. 7th Fleet, Vice Adm. Joseph Aucoin, were all removed from their positions. U.S. Pacific Fleet commander Adm. Scott Swift announced his earlier-than-expected retirement in late September. While ongoing actions are still possible for sailors involved with the collisions, the Navy had previously stated that additional accountability actions beyond the senior leaders already disciplined were not likely. “The CDA did find that sufficient and adequate actions have been taken against officers higher up in the chain of command,” Navy spokesman Lt. Cmdr. Dan Day told USNI News in a statement on Jan. 17. The following is the complete Feb. 1, 2018 statement provided to USNI News. WASHINGTON — Vice Chief of Naval Operations Adm. Bill Moran designated Adm. Frank Caldwell as the Consolidated Disposition Authority (CDA) on Oct. 30, 2017, to review accountability actions in relation to USS Fitzgerald and USS John S. McCain collisions, and to take additional administrative or disciplinary actions as appropriate. To date, in addition to the measures already taken, Caldwell has held six additional non-judicial punishment (NJP) hearings in Yokosuka, Japan, on January 25. For USS Fitzgerald, the executive officer, command master chief and one officer were found guilty at NJP for violating Article 92 (dereliction in the performance of duties) of the Uniformed Code of Military Justice (UCMJ). Each was given a punitive letter of reprimand. And in another case involving an officer, Caldwell reconsidered a previous finding of guilt and set aside the action based on his review. For USS John S. McCain, one officer and two enlisted members received NJP hearings during which Caldwell dismissed the NJP charges against one officer and one enlisted member. The second enlisted member was found guilty of violating Article 92 (dereliction in the performance of duties) of the UCMJ. The member was awarded a punitive letter of reprimand, forfeiture of 1/2 month’s pay for two months and reduction in rate to the next inferior paygrade. The forfeiture of pay and reduction in rate were suspended for a period of six months. Additional CDA actions are pending. As appropriate, information will be available when action is complete. This is required to ensure a fair, thorough and equitable process and that members are afforded their rights. The CDA has also appointed Preliminary Hearing Officers and scheduled Article 32 hearings to review evidence supporting alleged UCMJ violations against USS Fitzgerald and USS John S. McCain crew members. The scheduled hearings are subject to change and will be posted on the regularly scheduled public docket issued by Naval District Washington, available at https://www.cnic.navy.mil/regions/ndw/om/northern-judicial-court.html. An Article 32 hearing does not reflect a determination of guilt or innocence related to any offenses. All individuals alleged to have committed misconduct are entitled to a presumption of innocence.